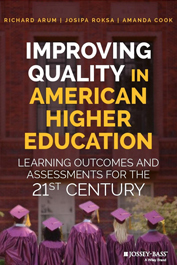 Read about our new book, Improving Quality in American Higher Education: Learning Outcomes and Assessments for the 21st Century (Jossey-Bass, 2016). This study tracked a group of over 2,000 young adults as they made their way through college and transitioned into the labor force and graduate school. It examined the extent to which these students developed generic competencies over the course of their college career, and whether these competencies were related to their chances of making successful transitions to adulthood after graduation. This is an initiative that aims to engage faculty and other stakeholders in defining field-specific learning outcomes for undergraduates and developing possible ways of measuring them. The Education Research Program of the Social Science Research Council (SSRC) is dedicated to the promotion of rigorous social science research on education.